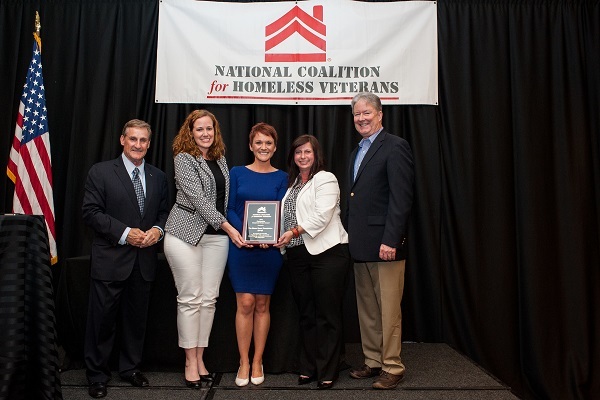 NCHV is proud to present the Corporate Partner Award to The Home Depot Foundation. The Home Depot Foundation has forever altered the landscape of efforts to end veteran homelessness. The Foundation has leveraged their influence through Team Depots across the country, along with making unrivaled investments in affordable permanent housing. These have been the change makers for communities across the country struggling to offer housing stability when options are limited. The Foundation’s partnership with NCHV supports a connection to the community to ensure that veterans who are homeless, catastrophically injured, wanting to age in place, and in need of a hand have the opportunity to achieve housing stability. The Home Depot Foundation’s support to NCHV has enabled us to increase efforts to bring together experts in housing development to create new housing options for veterans in need.